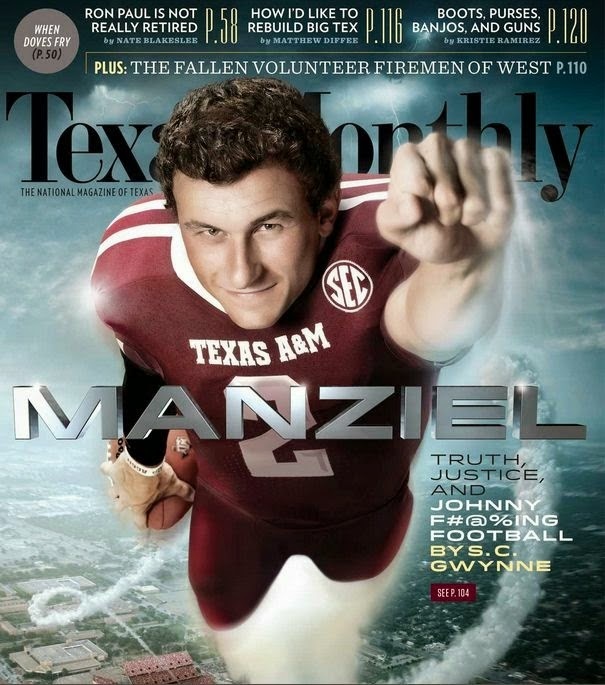 Johnny Manziel, or Johnny Football to you. Thank you for your interested in the Cleveland Browns 22nd draft pick, Johnny Manziel. As fans of the Cleveland Browns, we are pretty excited to see what he, along with the rest of the team, can do this season. We are, without a doubt, looking forward to this season. I understand that several of you are upset because you were denied media credentials for the upcoming training camp. Well, those of you that usually have credentials, year in and year out, still have them. It was just those folks that have no real interest in Cleveland, or the Browns in general, that were denied. My suggestion to you is to reach out and make friends with the local media and fans to enrich your Johnny Football stories. I'm sure you realize this, but for my own sake, allow me to mention it. To make friends, you need to be nice to people. Say hello. Tweet to Cleveland fans telling them that they have an exciting season in their sights this year. Mention the last time you were in town and stopped by E4th for a great dinner. Or Tremont. That will score some points. Cleveland has some fantastic restaurants and innovative chefs. Everyone can relate to food. You could even talk about the new GE Chandelier in Playhouse Square. That thing is pretty awesome. It holds a Guinness Record. My point is, by making a connection to someone in Cleveland, you will be able to craft a better story. Several of you have lashed out on social media, with negative comments about Cleveland and one gentleman in particular, became vulgar with fans. I assure you, that is not the way to get invited to the party. Your mom would be ashamed of your behavior. I know my mom is. While we are on that subject, I'm sure you are savvy enough to grasp that Cleveland sports fans are leery of you. Cleveland is more than an asterisk in Lefoolio's career notes. If we are all honest with one another, the last time you cared about Cleveland, it was to get video of jerseys in flames and angry fans screaming obscenities. Cleveland is more than the city Lefoolio left. Cleveland is a dedicated, passionate and enthusiastic fanbase. We love our teams, and we love our city. On a personal note, I have gone to significantly more training camps than you, and as a dedicated fan, I want to see *my* team. You see, long after you are gone... the cameras are packed up, the stories are written and posted, I will still be here. I will still be in the stands cheering for my team. In the bright sunshine of training camp or the bitter cold snowy Sunday, I will be there. I am a Cleveland fan. 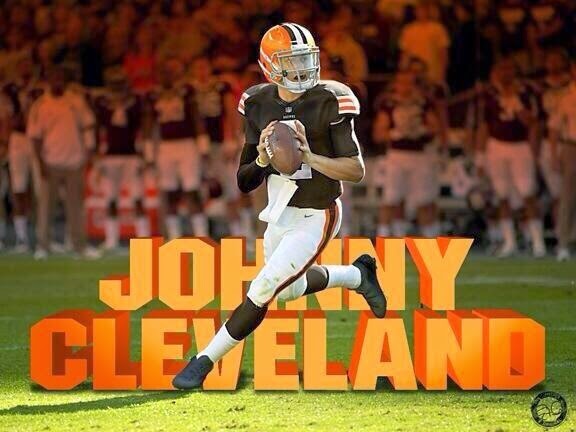 Johnny Cleveland, by the fantastical @illstr8r on the twitter.